With summer coming to the end, everyone's having those last minute get-togethers. As a new mom, having to travel with a baby feels like packing for a week every time we head out somewhere. I always keep her diaper bag (and my bag) stocked with the essentials, including a few spare U by Kotex products. With their 3D Capture Core + Xpress Dri technology, I know I'll be protected anywhere I'm on-the-go with the little one. First of all, I always re-pack her diaper bag to make sure everything I've got is enough and to make sure I haven't forgotten something. 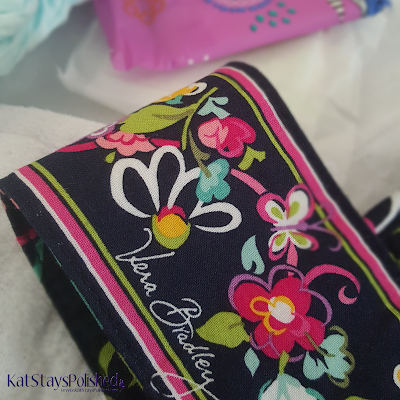 I love using my Vera Bradley changing pad to organize all of her things. 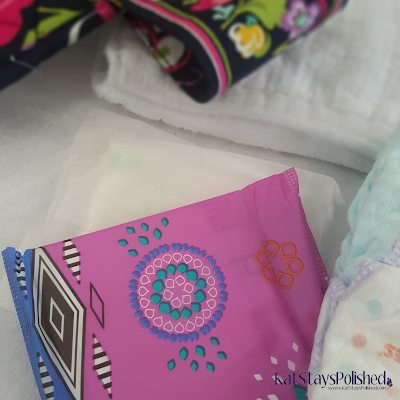 Here are just a few basics I always make sure to bring: Diapers, wipes, burp towel, and of course, some extra protection for mommy. The way U by Kotex packages their products makes it much easier to pack and have it blend in with the other things in my purse, or in this case, her diaper bag. I'd say it pretty much matches this Vera Bradley changing pad, huh? So, how will you end your summer? Will you become and #UnderWarrior too and save the undies? Don't forget to grab your FREE SAMPLE! There are plenty left! Perfect to keep on hand for those on-the-go trips with your little one!